FT. MADISON (KWWL) -MidAmerican Energy officials say they have contracted with an Iowa wind turbine blade factory to make all the blades for 448 wind turbines the company is installing in Iowa. Adam Wright, vice president of wind generation for MidAmerican, says about 500 workers at the Siemens Energy plant in Fort Madison will keep busy for at least the next 10 months making turbine blades for the wind expansion project. The CEO of Siemens Energy’s wind division Mark Albenze says the MidAmerican order is the largest onshore wind turbine order in the world. It will help secure the jobs at Fort Madison and in a Hutchinson, Kan., plant where the wind turbines are made. In a statement Monday, U.S. Rep. Dave Loebsack said he was “thrilled” with the news. “I am thrilled with today’s announcement by Siemens and MidAmerican that Iowa will expand its leadership in wind energy production,” Loebsack said. “This announcement means jobs for our highly skilled workforce, and demonstrates the continued strengthening and competitiveness of Iowa manufacturing. 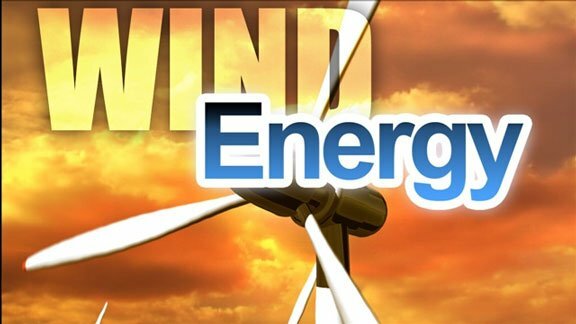 U.S. Rep. Bruce Braley praised MidAmerican’s decision and said Congress must renew the wind energy tax cut to keep the wind industry growing. “Wind energy is truly Iowa homegrown energy, and today’s announcement by MidAmerican Energy again shows its job-creating potential,” Braley said. “Yet Washington fails to take notice. This growing Iowa industry is threatened because Congress failed to quickly renew the wind production tax credit before it expires at the end of the year. “To provide certainty and stability in the industry — and to promote job growth — Congress needs to immediately renew this tax cut when it returns in January,” Braley added. The Iowa Utilities Board in August approved MidAmerican’s $1.9 billion wind expansion project.